Let’s wrap up this week with a good old 5 on Friday roundup, shall we? 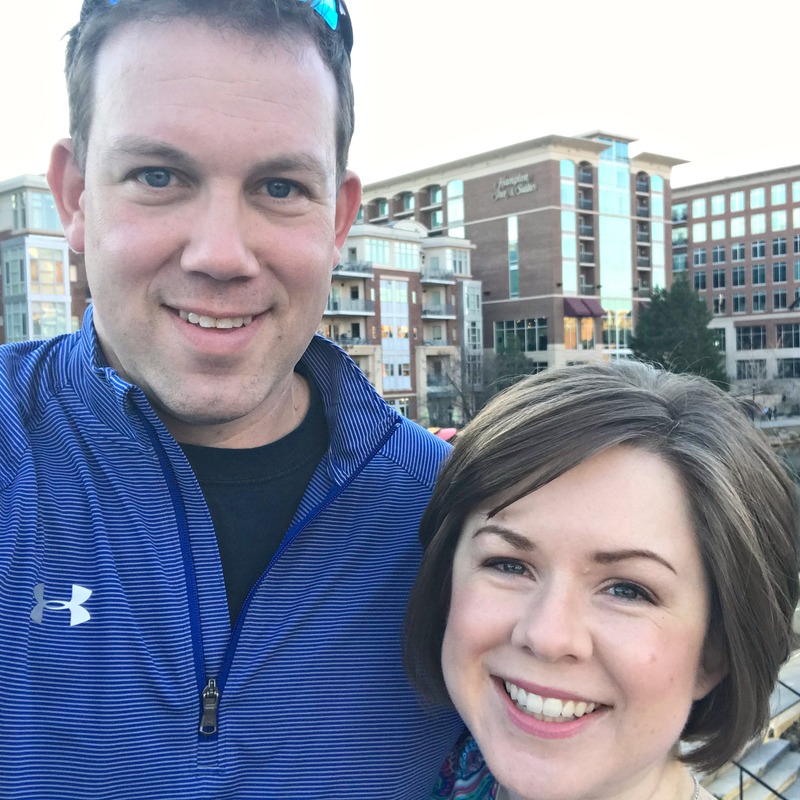 #1 Date Night: It was a sunny 60 degree day without any humidity on Saturday, so we took advantage of the perfect weather and headed downtown Greenville for date night. My favorite casual restaurant is Carolina Ale House. They’re constantly tweaking and changing their menu and my favorite Caribbean Fish Tacos got a little upgrade that made them even better! We topped it off with Marble Slab and a stroll through the West End. It was a great time! 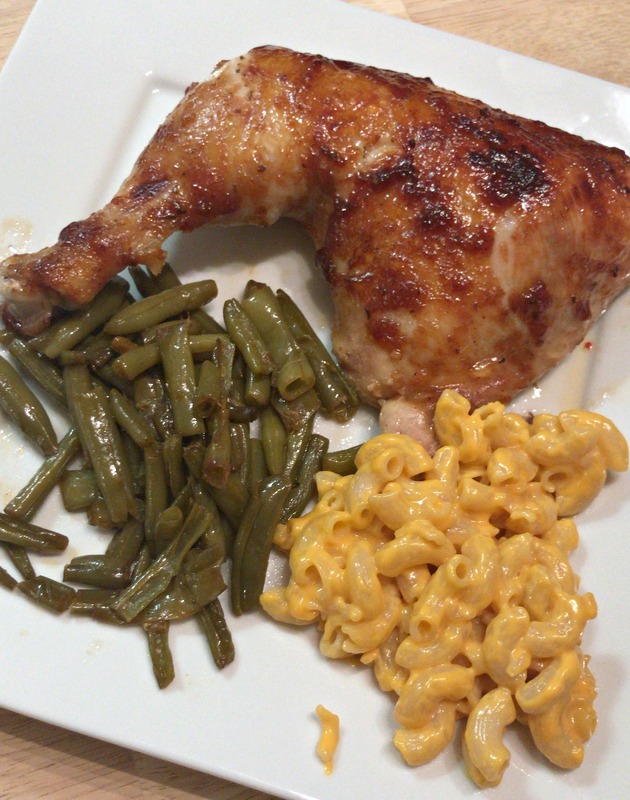 #2 Sunday Night Supper: I made all of Paul’s favorites – BBQ Chicken, Creamy Mac & Cheese and Southern Green Beans. The chicken turned out extra delicious! I used chicken quarters and covered them in Italian dressing and BBQ sauce. They baked at 375 for an hour, and then I brushed a little more BBQ sauce on top before sliding them under the broiler for a couple minutes. Perfection! 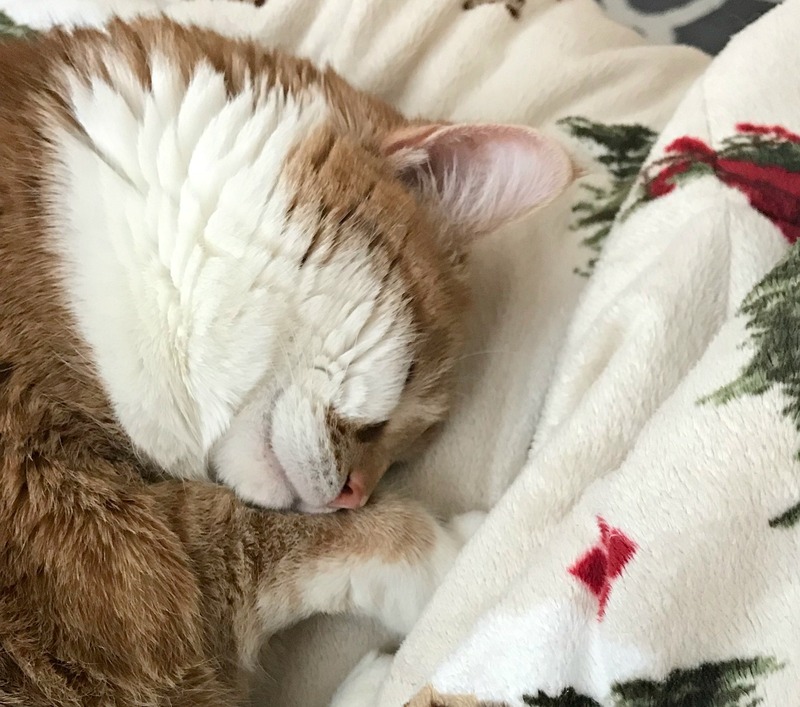 #4 Sick day kitty snuggles: Peggy is always happy to have me home during the day! #5 Pal’s Tea! Paul traveled to East Tennessee for work on Wednesday and came home with my favorite “1/2 and 1/2 Peachie Tea” from Pal’s– they have the best tea in the world! 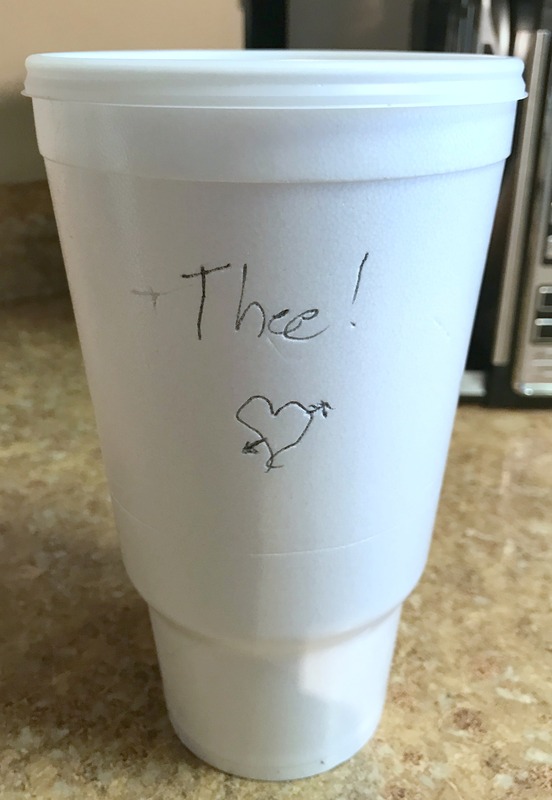 His cute love note on the cup made it even better. Bloggers: Link up to THREE of your posts from the past week in the linkup below. We ask that you follow each co-host on social media and link back to the link-up. Thanks for joining us! 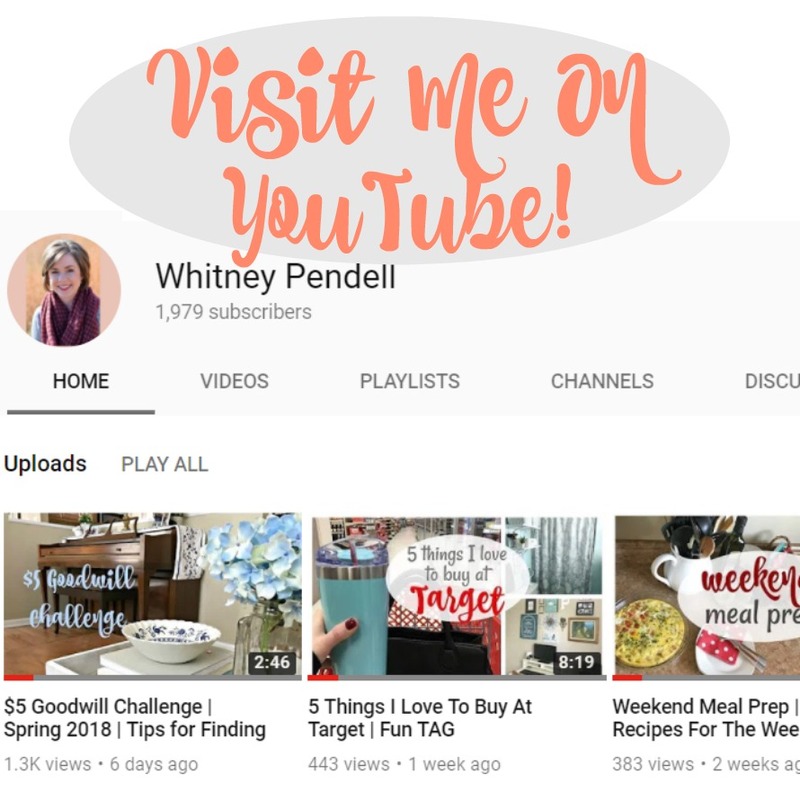 Everyone: Click the link below to discover a host of inspiration from lots of great bloggers! 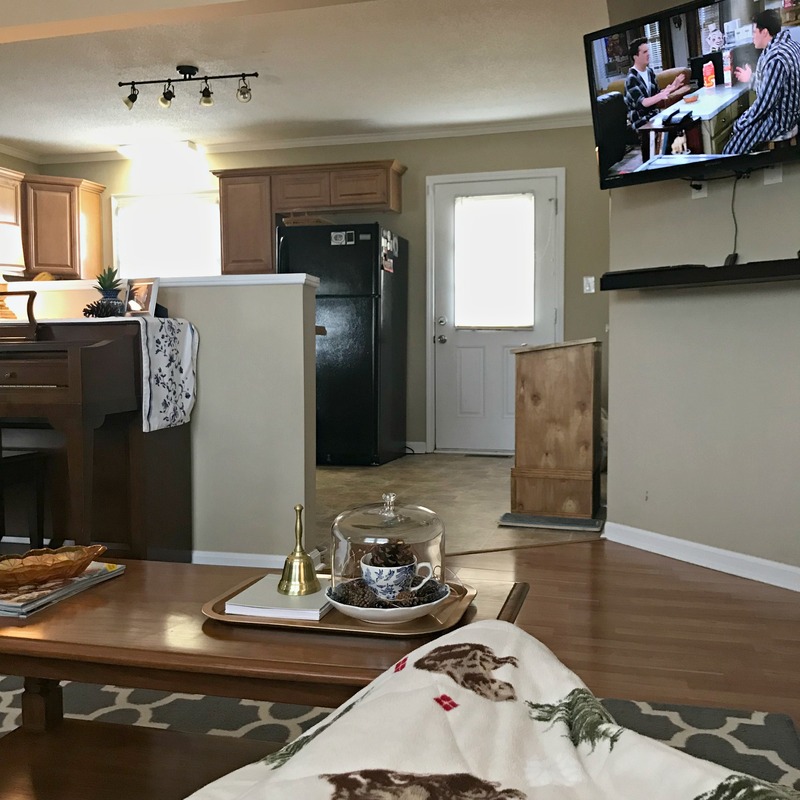 Next Post 3 Homemaking Tips That Will Make Your Life Easier! Glad you were able to squeeze in some fun this week with yummy food, date night and cat cuddles. Sorry to hear you were sick again. Here’s the a happy, healthy rest of the month! Glad to hear you are feeling better! Your Sunday meal looks delicious. Will definitely try the chicken. Have you shared the recipe for your southern green beans? Your green bean always look so good. I love fresh beans but can never get a good batch with canned or frozen. Thank you so much, Diana! You know, I don’t think I’ve ever posted a recipe for my southern green beans. I’ll work on that! That Peachie tea sounds so delicious! I am going to try that chicken recipe, it looks delicious and I know my family would love it. Your cat is such a cutie, so snuggly! Hi Carrie! Yes, I know your family will love the BBQ chicken. It’s so much better in the oven! Hope you are feeling better. The flu did a job on your immune system so you are more vulnerable to infection for a while. Keep being your germ fighting self for the next month or so. I’m so glad that you are on the mend and thankful that despite being under the weather you found such sweet things to be thankful for this week! That’s such a cute pic of you and Paul enjoying what sounded like a wonderful date! His thoughtfulness in getting you “the best tea in the world” and adding his own sweetness with that note was definitely highlight worthy too – love it! I’m leaving this post with a smile and a tummy grumble after seeing your delicious Sunday supper! lol. 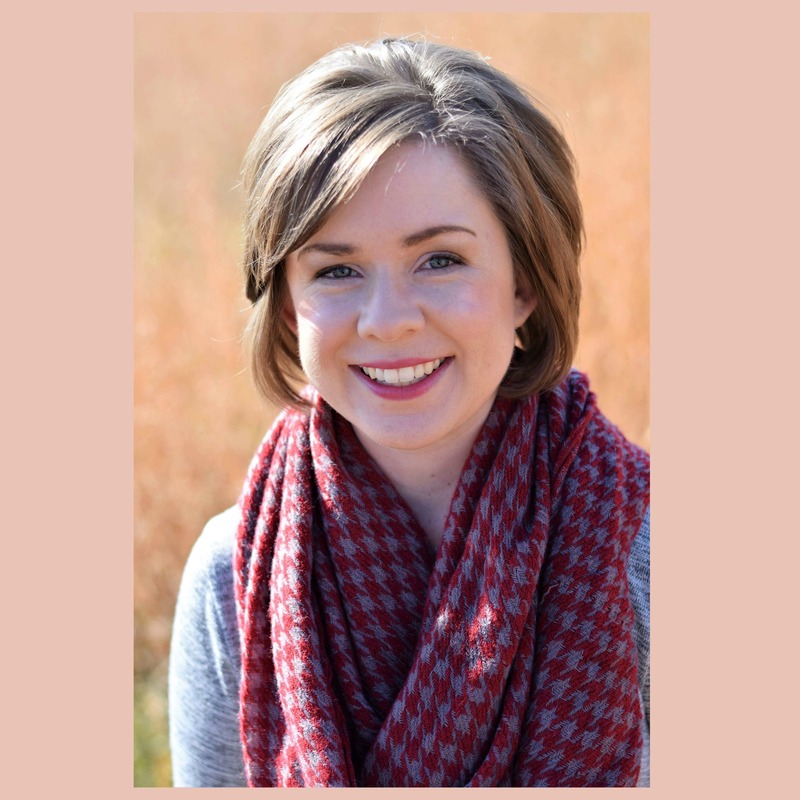 I’ll continue to pray for your complete recovery, sweet friend! Hope your weekend is a wonderful one! xo! Thank you, friend! Paul said he knew I didn’t like surprises but decided to risk it with the tea. Haha! “The Quiet Man” is my guess.